A dancing woman is a disgraced and dangerous woman – that was the stereotype that the most remarkable Polish avant-garde dancers had to struggle with for a long time. Their effort and passion brought them incredible artistic achievements. Their unusual lives were described in the bilingual book titled Polish Dance Avant-Garde Artists: Stories and Reconstructions edited by Joanna Szymajda and published by the Institute of Music and Dance and the Adam Mickiewicz Institute. In Western civilisation, a dancing woman (or in fact a woman as such) used to – and perhaps continues to – pose an unbearable anxiety for the masculine mainstream. That is how the introductory essay by Wojciech Klimczyk forecasts the narration that links all the 11 essays and turns them into a coherent yet multifaceted collective portrait of Polish artists of the dance avant-garde. From the very beginning we realise that we deal with stories in which femininity plays a crucial role. The opening of the book outlines the historical and social background and indicates the link between the presented portraits. The emancipation of the women's dance did not take place in the isolated art world but in a close relation with social and political conditions. Students of Irena Prusicka's Private School of Gymnastics and Artistic Dance during a summer course in Druskininkai, 1938. Source: National Digital Archive, Poland. was intended as a woman's story, in which it was the woman who determined the conditions for dance beauty to arise, both with regard to other women and to dance as such. Cover of the book Polish Dance Avant-garde Artists. Stories and Reconstructions, edited by Joanna Szymajda, 2017. Published by the Institute of Music and Dance and the Adam Mickiewicz Institute. Modernism, feminism and internationalism were the three movements which made it possible for the female dance to get liberated from male superiority and social pressure. The turn towards the body, the change of women's status in society and sensitivity, both artistic and social, which rose above national divisions indicated the development of the female dance. This is an important starting point which makes it possible to understand this process. It is also the starting point for the narrative of the book, characterized by consistency and coherence, both in terms of form and content. The book is not only a biographical and historical journey or an attempt to record the stories of the artists who, as Szymajda puts it, 'greatly (but not always recognisably) influenced the development of modernist dance currents in Poland and abroad'. It is also a critical study of this attempt. The subtitle of the book precisely reflects the challenge that the authors had to face. The book is divided into two parts which correspond to two different types of narration. One of them is the record of time, the other is the record of the reflection on the role and the function of archives and reconstruction. The polyphony constituting of the voices of 11 female authors and one male author is especially powerful nowadays. Today, when the issue of gender equality is under debate again and the discussions on women's problems often turn into manifestations, the possibility to look backwards is extremely valuable. In the times of intensified women's struggle for an equal status, reading of this book brings inspiration and gives hope. Szymajda's praiseworthy decision was to invite authors having different (artistic, scientific and ethnic) backgrounds and using varied methods to cooperate. The result is a book that is consistent and coherent, does not favour any perspective and makes place for as many as a dozen or so voices. Next texts are thus something much more than a presentation of the avant-garde dancers: they are testimonies of personal fascination and private (often in the strict sense of the word) relation of the authors with the artists. Students of Janina Mieczyńska's School of Rhythmic and Dance in Warsaw, 1928. Source: National Digital Archive, Poland. She devoted her life to education: first her own, later to her remarkable students, among whom there was Pola Nireńska. Mieczyńska treated education as a priority. She finished the Jacques-Dalcroze Institute in Geneva and in Hellerau. She received her education in the Music Institute in Moscow. She also attended a branch of Duncan's Berlin school there, participated in expressionist dance summer courses with Mary Wigman in Germany and the courses with Harald Kreutzberg in Salzburg and Rosalia Chladek in Hellerau-Laxenburg. She founded the School of Rhythmic and Dance in Warsaw, one of the most important institutions of this kind then, before the World War I, in 1912. At the beginning the institution functioned as an official branch of the Jacques-Dalcroze Institute and its operation was influenced by the historical events of the first half of the 200th century. 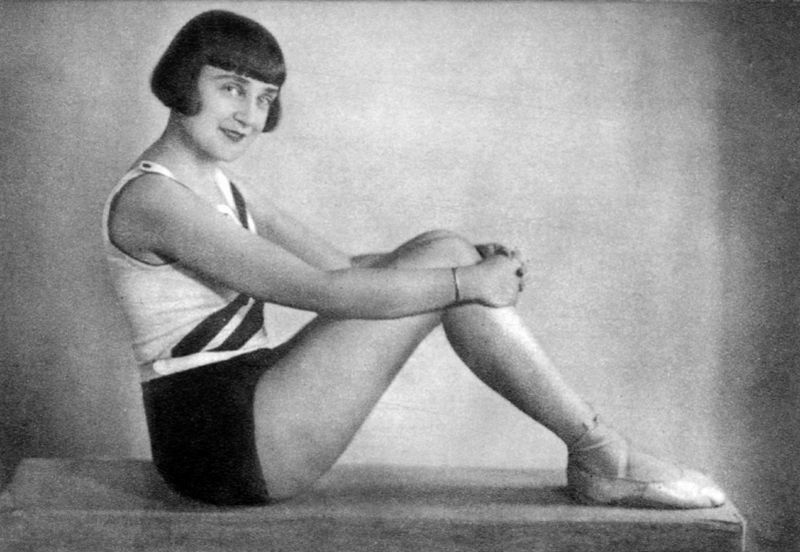 Mieczyńska's educational activity brought measurable results, such as success of her students in the most important European dance competitions: in Viena, Brussels and Berlin. As in the case of many artists and scientists, the threat of the World War II did not stop her from continuing teaching: she gave conspiratorial courses and meetings for the participants of the State Institute of Theatre Art, which 'were continuously disrupted by round-ups, searches and arrests'. Reviewers listed diverse inspirations, from Kurt Jooss through folk cultures of different nations. Auteur stage dances by Prusicka's students were a testament to their own extensive interests (and those of their director), and included both realism and expressionism. Also noticeable was their high technical level. Critics pointed out the presence of dance experiments devoid of musical accompaniment. Prusicka, who was considered an 'effective teacher' was aware of the educational and pedagogic dimension of dance, and of the performing arts in general. She had a pedagogic gift which she made the most of by creating plays for children and teens or as an instructor of school acting groups. Wysocka mingled with the greatest artists of her era, established two schools and a dance company, created several dozen autonomous choreographies (…), while also formulating a radical dance education system. In times of crisis she worked as a nurse and typist, taught secret classes, and delivered and sold home-baked cookies. Having watched Isadora (editor's note: Duncan) (…) I began to think that while classical dance must serve as a basis, there may exist another type of dance, and that I should expand the range of my studies. She is the most famous modern ballet dancer of Polish origin in the history of dance. She collaborated with her brother Wacław on the most avant-garde choreographies at that time. Bronisława Niżyńska modified the dance language and reformulated the classic means of expression. She experimented by taking the fixed ballet figures out of their context. She was in charge of her own dance companies and after moving from Europe to the United States she devoted her life to teaching. Her career was then, in 1939, at its peak and 'she was already considered the most brilliant choreographer in the history of ballet'. Niżyńska's story is also a tale about a private emancipation in her family. Her body of work, 'immensely diverse, original, fiery, critical and ruthless – enabled her to step out of her brother's shadow and shine with her own light'. Marie Rambert also collaborated with Bronisława Niżyńska's exceptional brother. She was an artist who 'became a pioneer of twentieth century British Ballet'. 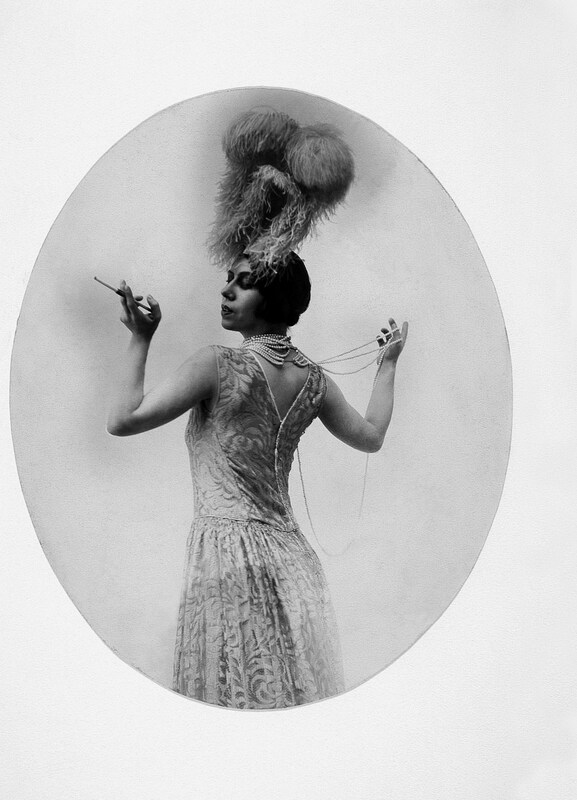 She was noticed by Sergei Diaghilev and became Wacław Niżyński's assistant. Similarly to Wysocka, she was under the influence of Isadora Duncan ('she was totally captivated by Isadora Duncan's performance at the Philharmonic Hall, Warsaw, in October 1904'). …constant enthusiasm for such a wide variety of dance and willingness to embrace new developments. She was called a 'choreographic alchemist' and an 'architect of British Ballet' and is remembered as the founder of the oldest dance company in the UK. Interestingly, the group is still carrying her name. She was one of Janina Mieczyńska's students at her School of Rhythmic and Plastic Dance, and later on she gave lessons of improvisation. Her parents agreed on her dance education and gave her financial support only after she had promised that she would never perform in public. However, she broke her promise and became one of the most important figures in modern dance history. She was educated in the famous Dresden school founded by Mary Wigman, one of the most remarkable dancers of German expressionism. 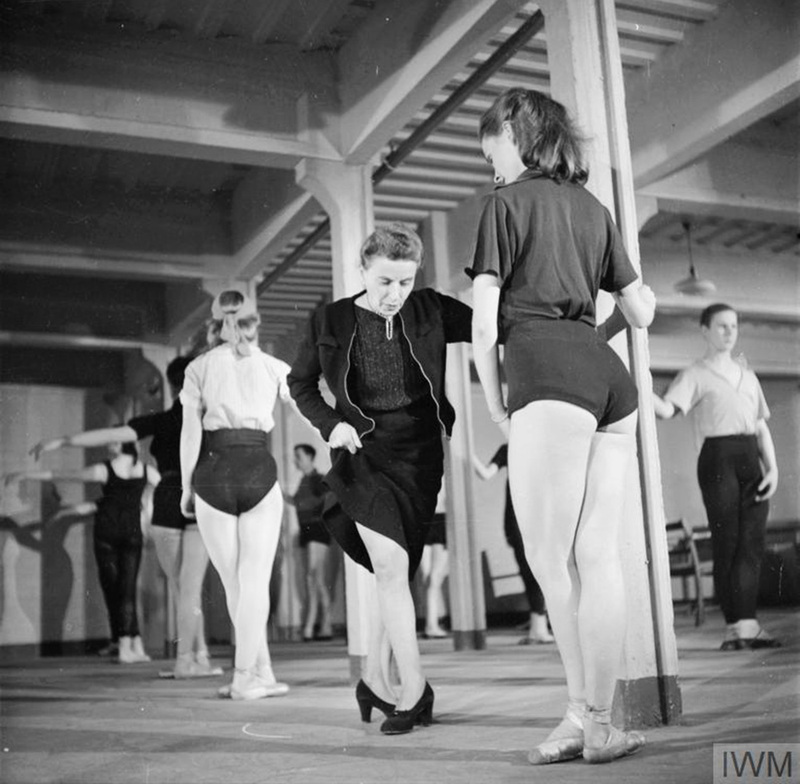 After moving to England (1936), she studied dance with Marie Rambert. The emblematic experience that shaped Nireńska's whole artistic career was the Holocaust. In the extermination she lost a several dozen family members. The Holocaust Tetralogy is a testimony of a great trauma. She used the dancing expression to overcome it. The possibility to immerse in dance and delight in it despite an unimaginable loss and a sense of panic and despair seems to be Nirenska's most precious legacy. Yanka Rudzka can be also seen as a pioneer in the sense that she opened a new perspective in the way popular culture can be part of dancing. Its task and mission was to trace back Rudzka's personal history and analyse her body of work, and by disseminating knowledge about her oeuvre to symbolically reclaim Rudzka for the history of Polish dance. The second part of the book is an attempt to decide whether it is possible to preserve or recover choreographies. Recently we can notice a clear focus on archiving in the context of the performing arts in humanities, dance and performance included. Anna Królica, the author of the text, indicates the phenomenon of 'the archival turn/ impulse' that she notices and analyses the problem of the elusiveness of a performance. How to stop and make a record of a dance? Is it possible at all? What is the difference between a record and a live performance? Królica points at a new area of knowledge and research: the archaeology of dance. What is it? A variation on reconstruction, which may include reconstruction but also transcends it. Much like researchers, historians or dance archaeologists, choreographers procure information and materials based on oral and written traditions. (…) Based on photographs, programs and reviews, they strive to reconstruct events. The goal of dance archaeologists is not only to reconstruct choreographies (…) They aim to create a narrative between the past and the present. Thus, retracing the steps, as the process of reconstructing choreographies can be referred to, would also entail a cognitive value and would be a creative action. In the book the idea of such reconstruction is called 'seductive'. It entails a complex process of searching for links and solving riddles. Rima Faber's attempt of a verbal reconstruction of The Holocaust Tetralogy by Pola Nireńska in the second part of the book is remarkable. The horrifying character of Nireńska's post-traumatic works created over the period of ten years is additionally intensified by Faber's first-person narrative. The dancer played the role of the mother in The Holocaust Tetralogy from the very beginning, that is from Dirge's premiere in 1980 to the last farewell performance in 1993. Faber's intention was to recall what she experienced during the work on Nireńska's performance. For the reader in turn it is an opportunity to imagine the touching performances that constitute The Tetralogy. Although the Polish choreographer and Jan Karski, her future husband, vowed never to speak of the Holocaust, the oath was broken. The demons of the Holocaust in which Nireńska, a Pole of Jewish origin, lost seventy five family members and was harassed for years, could not remain hidden more. The programmes of the performances were prefaced with her words: 'In Memory of those who I loved…Who Are No More'. They constitute a daring attempt, within the humanistic tradition of modern dance, to bear the unbearable and speak the unspeakable. In Nireńska's case dance turned out to be a medium to tame the demons of the past. The non-verbal language of dance made it possible for her to speak the unspeakable: Dirge, Whatever Begins…also Ends, Shout and The Train are four parts of the series considered the biggest achievement of the remarkable dancer, an achievement both in the field of art and ethics. Keeping alive those traces (…) is not just an artistic but a moral imperative. Rima Faber's story is a private reconstruction containing intimate emotional experiences related to working with Nireńska. Faber indicates the dilemmas connected with the attempt to reconstruct and record the choreography and repeats the questions that came to her head when she tried to recover the dance from the past. The question of reconstruction remains open in Polish Dance Avant-garde Artists. It is constantly debated on and no ready answers are expected, maybe except for one conclusion: that more attention should be devoted to the traces of historical and often pioneer choreographies. Polish Dance Avant-garde Artists. Stories and Reconstructions is the result of a collective work on preserving the traces of the artistic creation of remarkable women. The creation that is elusive and delicate and at the same time is credited to determination and steadfastness. For the Polish avant-garde artists dance was not only a means of self-expression but also a tool to change the world: both in the micro-scale (it allowed to get through and express personal experiences) and the macro-scale (Polish women had a considerable influence on the development and the transformations of the modern dance). In the book there is something surprisingly revolutionary: it is a record of saving from oblivion the personalities who changed art in Poland, Europe and in the world and turned their works into a weapon to fight for women's status. With their energy and courage to go upstream they remain a role model even today. She will dance not in the form of a nymph, nor fairy, nor coquette but in the form of a woman in its greatest and purest expression. She will realize the mission of woman's body and the holiness of all its parts. She will dance the changing life of nature (…) From all parts of her body shall shine radiant intelligence (…) She shall dance the freedom of women. This publication is co-published as part of the international cultural programme POLSKA 100, coordinated by the Adam Mickiewicz Institute and implemented within the frame of the multi-annual programme NIEPODLEGŁA 2017-2021, co-financed by the Ministry of Culture and National Heritage. Originally written in Polish by Marcelina Obarska, translated by MW, February 2018.